This production contains violent scenes and Suitable for ages 10+. 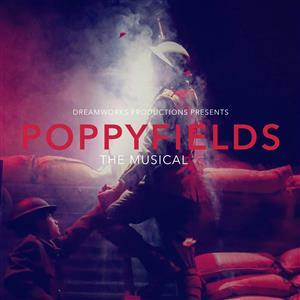 Set against the backdrop of a world at war in 1916, Poppyfields tells a captivating tale of love, loss, sacrifice and brotherhood. Documenting the lives of four principal characters, Poppyfields takes the audience on an emotional journey from a Home Front rife with class division, conscription and suffrage, to the horror of the Battle of the Somme. An immensely poignant and respectful story highlighting the young people that gave their lives for their country a century ago.